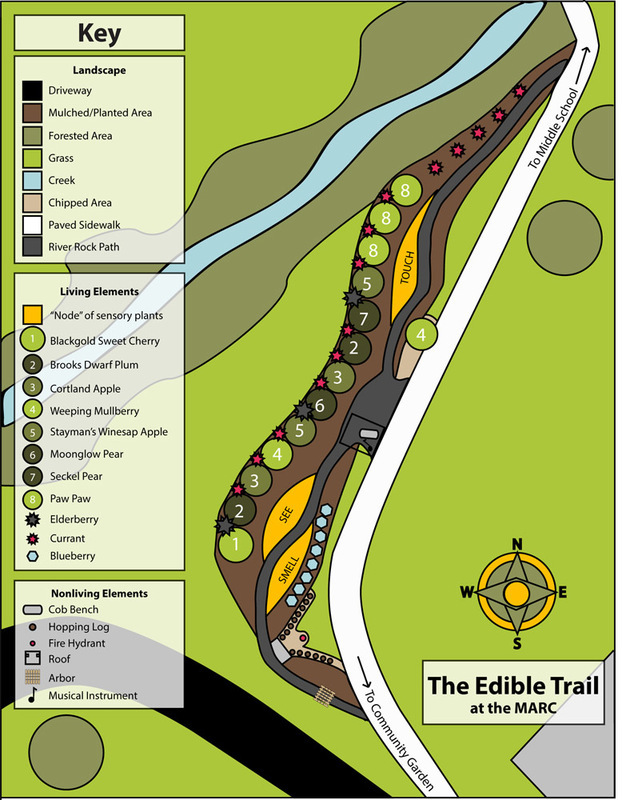 The Edible Trail is a Community Wellness Initiative Project, and a partnership with the Meadville Area Recreation Complex and Allegheny College. 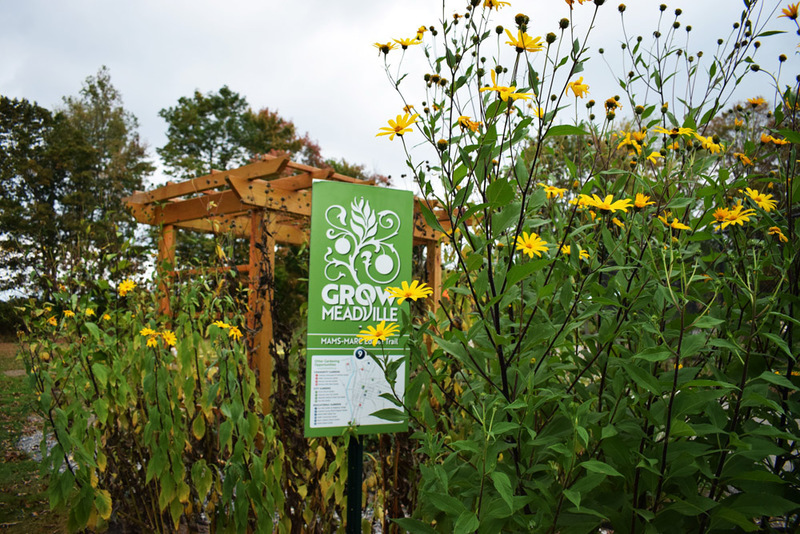 Designed, built, and planted by Allegheny faculty, staff and students, the Trail is an interactive walkable garden linking the Meadville Area Middle School with the outdoor garden classroom. 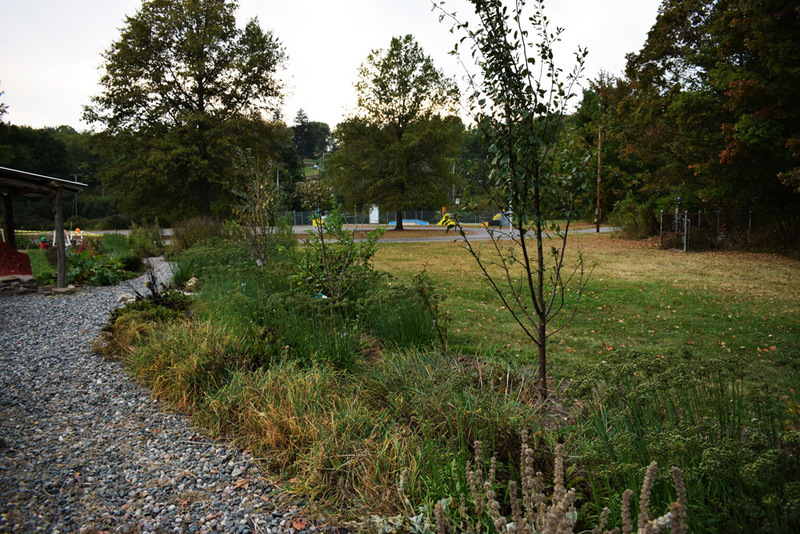 An extension of the community garden/outdoor classroom project, this path is intended to provide students with access to edible plants as they walk to the garden. It is also a resource for the community, used in workshops as part of the community garden. Anyone can use the trail and its plants. Madeleine Zimmermann, “MAMS-MARC Edible Trail,” NW PA Heritage, accessed April 26, 2019, http://nwpaheritage.org/items/show/63.